lets you control multiple modules with one MIDI channel, send multiple controller messages from one control. Insert modules within combi. Can have mixer inside combi or mix externally. pre-defined routings, but also virtual patches in the Mod routings section below. Wavetable: sample, just a few cycles, move through it using position. Phase modulation: combine two waves in series, and second one modulates first. FM pair: two sine waves, relative pitch creates sidebands. FM control determines level of sidebands. Multi: multiple osc same wave, detunable. LFOs have delays, assignable in matrix. Global section: affects everything. Envelope assigns to filter, or somewhere else. LFO 2 is free-floating, must be assigned. Assign each module a MIDI channel in Reason Hardware Interface. Controller numbers assigned to each parameter are in the MIDI Implementation Chart PDF. Processing modules: reverb, complex reverb, flanger, delay, scream, etc. Use Max to assign different incoming data to different channels to control efx, mix, aux sends, panning, etc. Meta-events: events about events. How do you implement them in Max? Harmony: distance between notes. Does it follow key, scale, or chord? Orchestration: use multiple Reason modules on multiple MIDI channels to layer different sounds or create an orchestra. Keep software files off the desktop. Create folders for your team’s work on Google Docs. Getting started on first projects. Start working on Max and Reason patches. Put power tool batteries in their chargers. Don't leave any files on the Mac Desktops. What gestures will control it? What sensors do you need for those gestures? What will need to be done with the sensors to make them "playable", e.g., mounted on wood, put in tubes, duct-taped to your head? How do the sensors translate into switch contacts, or 10KΩ resistors, or +5V DC sources, to use with the Arduino? Will there need to be supplementary electronics? What processes will be applied to the MIDI data coming from the Arduino in Max? What will the instrument sound like, and how will the sound be controlled by the gestures? Specifying materials to make sensors playable, i.e., the human interface. Wiring the sensors making the wiring robust. Adding circuits to process sensor data. Writing the Max patch to process the data. Groups meet, start on proposal for first project. Assign tasks, set a meeting time before next class. Designate one person to write it up and bring it Tuesday. Project is due Tuesday April 10. • Unsoldering and removing components: use sucker, brush, and wick as apporpriate. If practical, pull gently on the component as you remove the solder to get it out of the board. Reason NN19 module: samples, with many of the same filtering and envelope parameters as Subtractor. Building sample map, assigning controllers. map—setting root note. Keyboard tracking (no pitch change). AIFF audio format. Samples can be mono or stereo. Recording, importing and converting sounds, SFX libraries. Using mixers. Assign a MIDI channel, look at controller chart. Two different mixers. We don’t use master mixer. Lab safety and rules: Goggles when using any power tools. No power tools when you’re alone. Don’t use tools you don’t know how to use, especially soldering irons, jigsaw. Unplug soldering irons after use. Unplug glue gun after use. Don’t overuse hot glue. Heat destroys components. No spray painting in the building: take objects outside and use cardboard backing so paint doesn’t get on pavement or grass. Rotary encoder: has two different switch contacts, “0” and “1”. Speed of encoder determined by how fast switch contacts are made; direction determined by order of contacts. Continuous sensors can act as resistors or current generators. Some, like rotary or slide potentiometers, can be connected directly to the Arduino. Others need buffering, amplification, and/or filtering to provide usable signal. • Force-sensing resistor=pressure. Button-type or strip. • Infrared distance sensor=from about 1.5-10 inches. Available in various ranges. Get too close and the field inverts. • Piezo electric foil=striking or bending force. High voltage. Check AudioMIDI Setup to see that MPD or keyboard is recognized. Launch Reason. Set Preferencex>Sync Bus a to "fromMax1"
Edit and locked mode. command-E toggles, or click on lock icon. Number box = for monitoring. Sliders (0-127), can change minimum and range (Get Info). Pipe=delay: number of arguments is number of messages passed, with last one being delay time in ms. "0 0 0 time" will delay a MIDI message (zeroes are placeholders). Metro=clock, number of milliseconds. Start and stop with toggle at input. Wait! Image of the device will appear on screen. Click on a pad or control to change it. Sliders can be set to controller number or Pressure. Knobs similar, also option for NRPN—don’t use. Click on name to name your preset. You can have up to 30 presets. Finally: File>Save Set As….to save entire bank of presets. When you come back to the lab, File>Open to get it back. Virtual MIDI connections (inside operating system, using software synths), no channel limit, no speed limit. Using knobs: Control mappings (numbers and functions) for keyboards are on the desktop. Saving the whole rack (.reason) in Reason: create your own folder inside theEMID Resources folder. Depth & Virtuosity: As you learn it, you get better and can do more with it. Something interesting to look at? Audience needs to pay attention, be able to connect what they see visually with what they hear. Familiar: keyboard, guitar, drums, malletboard, violin, woodwind, brass. Advantage, people already know how to use it. Doesn't require new skills, practicing, rethinking how you make music. Most commonly in electronic world: keyboard. Used with Moog synths, Switched-on Bach. Became glorified organs with thousands of stops, people play all of them the same way. But, can extend technique to play keyboard in new way that has different expressive parameters (aftertouch, wheels, pedals). Adaptive: or extended, like keyboard with pedals; stringless guitar; wind controllers with more buttons and levers than a conventional wind instrument; violins with sensors on the bow, etc. 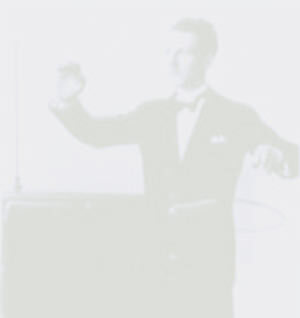 Unfamiliar: like Theremin: hard for guitar or string players used to articulating with right hand. Using different parts of the body, or in different ways. Finger position or movement on surface or in free space. Relative positions of fingers -- spread or angle. Bend of joints: wrists, elbows, knees. Pressure on surface. Requires practice and mastery! Think of music in different ways than simple button-pushes/discrete events. Some commands three-bytes, some two, some one, some longer. Numbers below 128$ (80H) are data bytes. Numbers 128$-255$ are command bytes. Channels: second half of command byte, 0-F=read as 1-16. Different insruments respond to different channels. In Reason, each module is on its own MIDI channel. Uses 5-pin DIN connectors. 5v DC, 10-bit words with 8 data bits and 2 framing bits. Data rate is 31,250 bits/second=3125 bytes/second=about 1000 commands/second. MIDI choke is a problem when too much data is flowing. Solution 2: MIDI over USB/Firewire/Thunderbolt. However, these are not specified in the MIDI spec. But Apple and Microsoft have included MIDI over USB in their operating systems. If a device follows those guidelines it is "class compliant". If it does not, then the manufacturer has to provide driver software to install on the host computer. An electronic musical instrument uses gestures to control electronic circuits. Computers provide ultimate flexibility: they can produce any sound, and interpret any gesture however we like, once we get the gestural information into the computer. The physical aspects of an instrument no longer have to have any relationship to the sounds it makes. Sequence or pattern generated automatically or by a single gesture. Gestures control the parameters of the sequence as it plays. 1) What's music? Varese: organized sound. Working definition: Sound that is created deliberately, with intent, and has interest as sound. 2) Elements of music: melody, rhythm/tempo, harmony, timbre/orchestration. 3) What's a gesture controller? Something that responds to a physical action by one (or more) human beings. Examples: Squeeze, blow, pluck, bow, hit with hand or foot or stick, press with fingers. • Framework to hold the sensors and make them playable. Resources: Course pack (buy at Gnomon Copy); reference books, manuals, and catalogs in lab, on computers, and on-line. Lab: Electronic parts and tools, sensors, software, mechanical parts, hand and power tools for woodworking and assembly. 3D printer, X-Carve 3D computerized router/carver. Laser cutter, more tools in Bray Labs and in Makerspace in Robinson. Available to all with training.